2014 Art, Wine & Blooms Cocktail Party | Glenwood, Inc.
Glenwood’s annual Plant Sale at Hollywood Pools is a great way to greet the spring season and support Autism Awareness Month. Art, Wine & Blooms is our kick-off cocktail party for the Plant Sale. 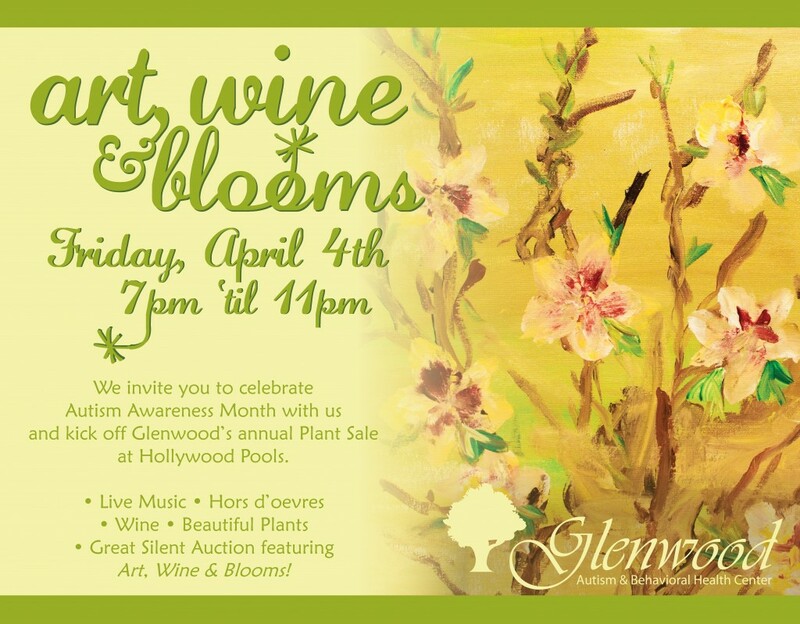 Please join us on Friday, April 4th, from 7pm-11pm for a delightful spring evening with live music, hors d’oeuvres, wine, beautiful plants, and a great silent auction–all in support of Glenwood! For more information, contact Lillian Haines at LHaines@glenwood.org or 205-795-3251.